It's the second week of our re-revamped iPhone game charts, and also the week after the release of Imangi's Temple Run 2, a free sequel that has folks so excited they're lining up to pay for Temple Run Brave. Normally when you release a new free thing that's better than any old paid thing, those old paid things drop off the charts. 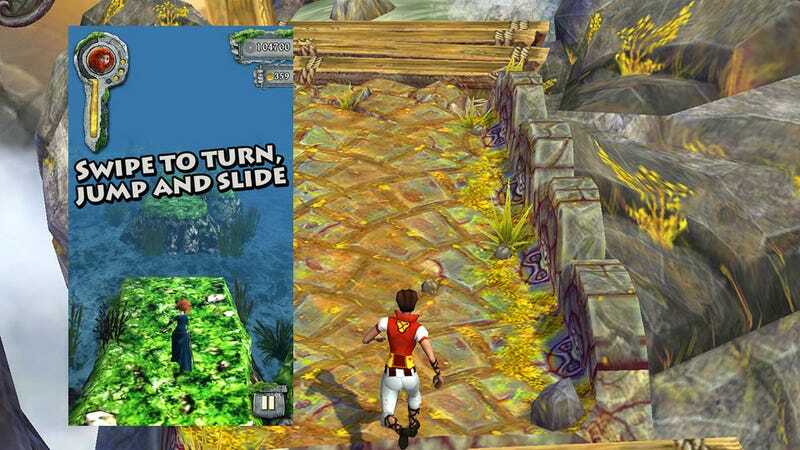 That's not the case with Temple Run. With the sequel pulling in 20 million downloads in four days and making sweet love to the Top Grossing charts, folks just can't get enough running, dodging, jumping and sliding. And so we've got the Disney animated movie tie-in popping up on the paid charts this week, just above one of those Slender Man games, which seems like a fine place for it to be.